Stuttgart. With two podium finishes at the last round in Bahrain, the Porsche LMP Team bid a fond farewell to the FIA World Endurance Championship. Drivers Earl Bamber (NZ), Timo Bernhard (DE) and Brendon Hartley (NZ), who were crowned world champions two weeks ago, finished second in what was an incident filled and highly emotional 2017 finale. This year’s Le Mans winners dropped behind after an early incident but impressively fought back. The sister car, shared by Neel Jani (CH), André Lotterer (DE) and Nick Tandy (GB) started from pole position but also suffered a set-back after a collision and a subsequent penalty. Lotterer clocked the fastest race lap and finished in third position after six hours of racing. Toyota won the night race. With this race, that was green flagged by Matthias Müller, Chairman of the Executive Board of Volkswagen AG, one of the most successful chapters of Porsche’s motorsport history comes to an end. From 2015 to date, the Porsche LMP Team took three consecutive Le Mans outright victories plus three successive manufacturers’ world championship titles while Porsche 919 Hybrid drivers won the drivers’ world championship title on three occasions. 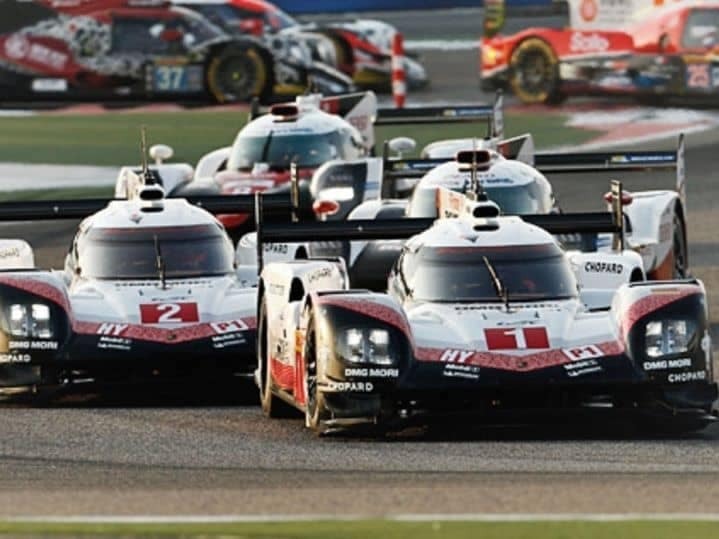 Since the 919’s debut in 2014, the tally from 34 races is 17 wins with seven of them being one-two victories. Furthermore 20 pole positions and 13 fastest race laps were achieved. How the race went for car number 1: Start driver Neel Jani – who just like Timo Bernhard did all four Le Mans starts for the team as well – stays in front of the Toyotas on the first lap and also at the restart after a safety car period at the end of lap 5. But on lap 19 he cannot hold the number 8 Toyota anymore and on lap 20 he also gets passed by the number 7 Toyota. After 30 laps Jani comes in for refuelling, currently third in the race. He continues in P2 because the number 7 Toyota changes driver and tyres but gets passed again by that car on lap 48 due to its fresher tyres. Still in P3, Jani hands over the car to Nick Tandy after 61 laps. The Brit refuels after 92 laps, jumping the number 7 Toyota who pitted for a full service. Still in P2, he stops for fuel again after 124 laps, refraining from a tyre change and takes the lead. But only six laps later, a collision when lapping a slower car causes a front left puncture. Tandy limps to the pits, the car’s front end gets changed and André Lotterer jumps in with 131 laps completed. After 161 laps, he serves a stop and go penalty for Tandy’s collision and after 162 laps, stops for fuel and a tyre change. Near the end of the race on lap 193, Lotterer has his final splash and dash before he brings the car home – one lap down to the leader – when the Toyota takes the chequered flag after 199 laps. How the race went for car number 2: Timo Bernhard improves from third to second at the start but on lap three runs over a bollard that lies on track. The bollard gets stuck underneath the car but was not obvious during the safety car period. At the end of lap seven, Bernhard pits to get the bollard removed and the nose changed, taking on fuel as well. He loses almost one lap. After 37 laps, running fourth, he hands over to Brendon Hartley. He refuels after 68 laps, still in P4. During a “Full Course Yellow” at the end of lap 96 he hands over the car to Earl Bamber who gets fresh tyres and improves to P3 because the number 7 Toyota is being repaired after a collision. He refuels after 127 laps and continues in P3. With 150 race laps completed, Bernhard gets back into the car. He refuels after 177 laps for the last time. The driver who did the initial laps with the very first test chassis of the Porsche 919 Hybrid back in 2013 also covers the last miles. One lap down to the race winner, he comes home in second place. Note: At https://presse.porsche.de text, image and video material on the LMP1 programme is freely accessible. 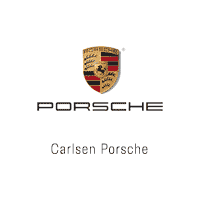 The link https://presskit.porsche.de/motorsport/en/mediaguide/index.html takes you straight to the Porsche Motorsport Media Guide. The LMP1 twitter feed @Porsche_Team broadcasts information, photos and video material live from the race track. Further live features from the races are available at www.porsche.com/fiawec. For further press content, please visit the Newsroom at www.newsroom.porsche.com. Video news is available at www.vimeo.com/porschenewsroom.